Obviously, there are numerous aggravating and mitigating factors that will ultimately determine the sentence in your DUI case, or whether it gets tossed out. In raising an amicable DUI defense, attorneys tend to question numerous points surrounding your charge, then attack the veracity of all activity leading up to the pullover, the tests, and arrest. Let us examine three possible defenses to driving under the influence in Indiana. The state leaves no defense of the score related to when the last drink was consumed, which would lead any reasonable person to conclude that this would be relevant in calculating the result of something like an Intox EC/IR II breath analysis. There are many known mechanical flaws in breathalyzer machines, many of which point to the method of calibration and accuracy of final reading. Unfortunately, the police and other government agencies leave no options for people to question the validity of results used by the state to prosecute cases of operating a motor vehicle while intoxicated. May seem like a conspiracy theory, but the defense has every right to question the accuracy of testing procedures. In most counties across Indiana, you are often found guilty in advance whether you submit to a breathalyzer test or not. The state may use your refusal to submit to an imperfect testing medium to charge and convict you with a crime, often expecting your DUI defense attorneys to never object. By far the best scheme police turn to when seeking DUI arrests is sitting outside of bars at closing time, many times out of plain sight. Some may concur that a good portion of DUI arrests occur after 2:00 AM and after the 25th of the month, although exact data validating that statement is not easy to acquire. Also, is it by chance that most DUIs are issued during times when traffic is almost non-existent and the hazard posed by DUI drivers is minimal? ‘Low-hanging fruit’ would be an accurate description of people caught on empty roadways after bar closing. Entrapment defenses are plausible, yet proof must be irrefutable. Reasonable suspicion in America is an imperfect legal standard of proof less strict than probable cause, but more strict than an inchoate and unparticularized suspicion or hunch. In layman’s terms, one may reasonably ascertain guilt without proof provided it is more than a ‘gut feeling.’ This definition epitomizes many counties in Indiana, including Lake. How do ‘gut feelings’ translate into DUI arrests? Sobriety checkpoints and one’s inability to operate their vehicle in an ethical manner are often enough, even if you are swerving due to working consecutive 16-hour shifts. Defense attorneys will often wonder how one was qualified to arrive at the notion reasonable suspicion existed. 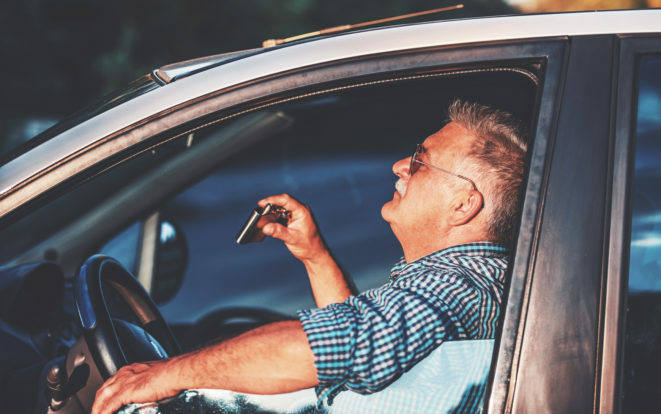 Sure, Indianans know distracted driving is deadly and presently illegal. DUIs cause the deadliest crashes known to man and offer few answers as to why folks who were beyond the legal limit felt inclined to risk their freedom and countless lives. Defending DUI charges is one of the more difficult tasks in Indiana for individuals to undertake without an attorney. If defenses can be raised, Tanzillo Stassin & Babcock will raise them to defend their clients. Contact them via phone at (219) 865-6262 to begin mounting your defense.